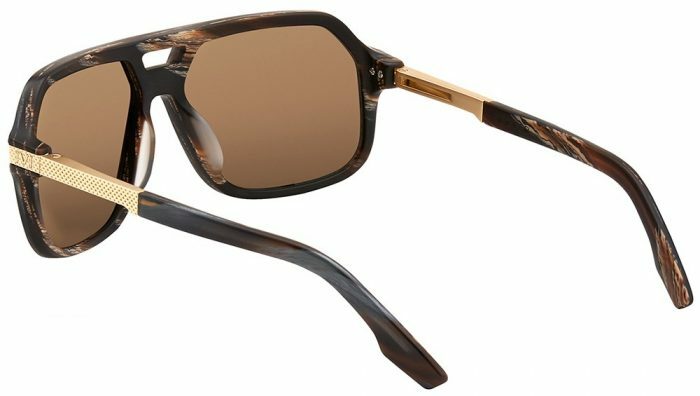 Hunter is a retro acetate navigator style frame with a unique bridge opening inspired by the grand prix drivers of the 70s. A tribute to the dangerous and glamorous days of racing when charismatic men drove on the edge of control at every turn. Hunter is for those who like to push themselves to the limit – and make it look easy. The frame front is hand crafted out of premium Italian acetate from Mazzucchelli 1849. The temple arms are forged from aerospace grade aluminum with a unique texture detail and mounted with custom mono-block hinge. The acetate temple tips have a wire core for adjustability in fit and comfort.